American Lady butterfly on echinacea. It is nice to see the honey bee as well as their numbers have so declined that I hadn't seen any in my garden for a few years. As I was photographing the butterfly I noticed something really interesting going on in the leaves of my tiger lilies. A Bold Jumping Spider (also known as a Daring Jumping Spider) had captured a very large breakfast of her own and was slowly wrestling it into a better position for consumption. This is totally disgusting and absolutely fascinating at the same time. I just had to share the photos. The Bold Jumping Spider and its freshly caught breakfast. Click for larger view. Moving breakfast into better position. 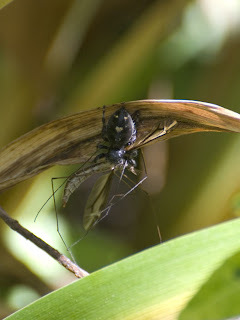 After the spider disappeared out of sight, I headed down to the lake to see what was going on. For the first time since I moved here 5 years ago I saw an osprey! It zoomed over my head and then glided to the far side of the lake and dove. The splash down was amazing, and as it lifted out of the water, sure enough it had a fish in its claws. Oh how I wish my photos of this came out but I was so surprised by its appearance that the quality wasn't up to my usual standards. 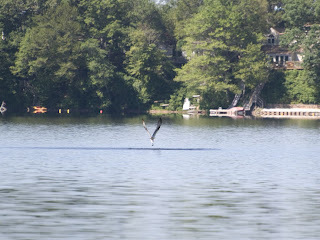 I am just so happy that osprey are out on my lake. 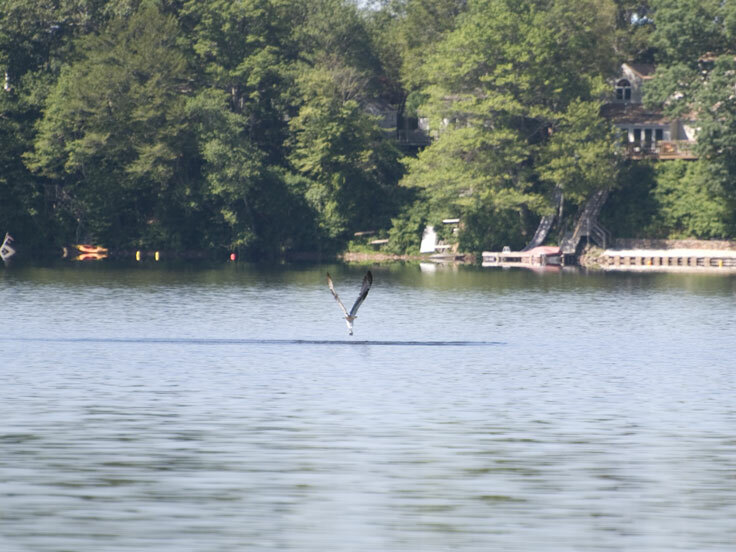 A very bad photo of the osprey leaving the water with its catch of the day. 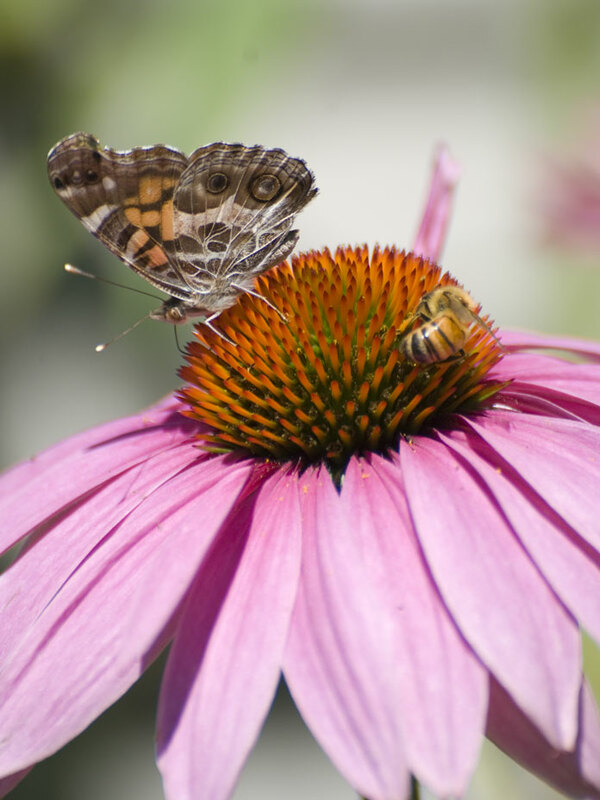 Later that afternoon a Great Spangled Fritillary dropped by for a drink on the purple cone flowers. Who says you need to go far for spectacular nature viewing. 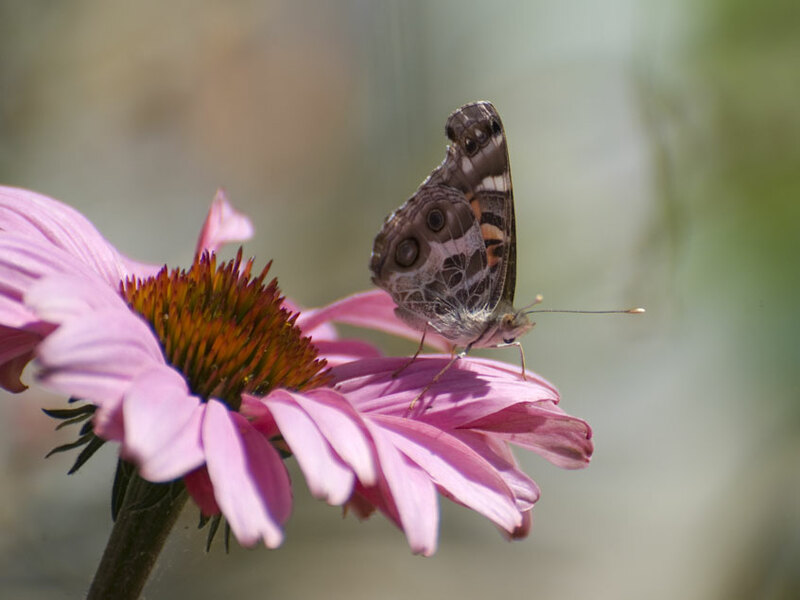 You can experience it all right in your own yard. 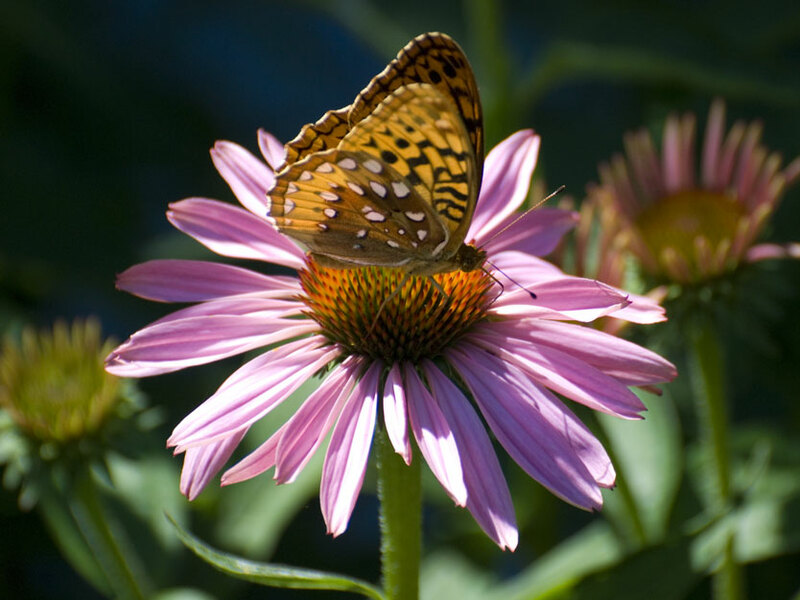 Great Spangled Fritillary. These things fly fast. You need to be quick to get a photo. 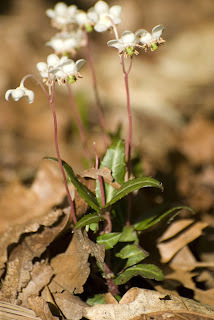 Spotted wintergreen. This grows all over the woods around the lake here.